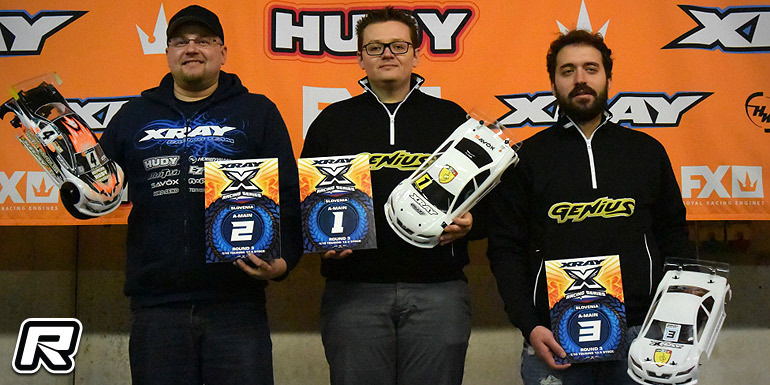 Round 3 of the 2018/19 Xray Racing Series Slovenia was held at the Genius Ring in Medeuzza. The event attracted driver from six different countries, Austria, Croatia, Germany, France, Italy and Slovenia and the track was run counter clockwise. 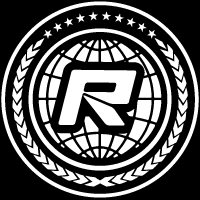 Three classes, Touring 13.5T, Touring 21.5T and Formula 21.5T were offered, all using control XRS motors and Hudy tyres to make for a level playing field. In the popular 13.5T class the pole position went to B.A. Arnaldi after a close fight with Germany’s Jan Ratheisky while Edoardo Repetti put his car on P3 for the finals. In the mains it was a great battle between Jan and B.A., with B.A. winning A1, Jan winning the A2 and the third final again being won by B.A. for the overall. Jan had to settle for 2nd overall in front of Edoardo, making it an Xray 1-2-3. In Touring 21.5 it was Mirco Bordin on pole, followed by David Marosa and Samuele Papi. 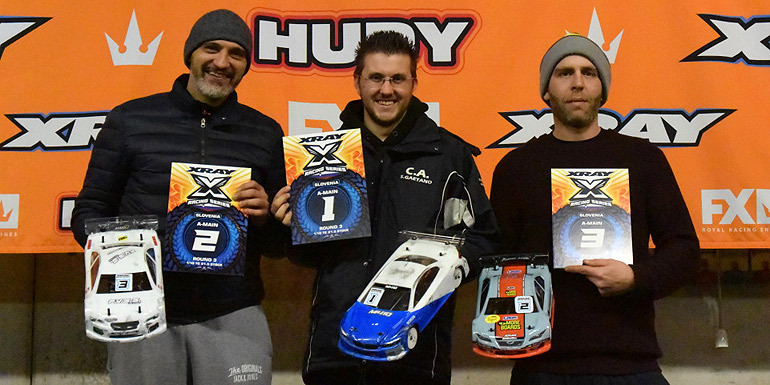 The overall victory then also went to the pole man Mirco Bordin, with Yokomo’s Samulele Papi coming in 2nd and ARC driver, David Marosa rounding out the podium. In the Formula 21.5 class it was Jan Ratheisky on pole, followed by Matej Dobnikar and Herfried Pucher. 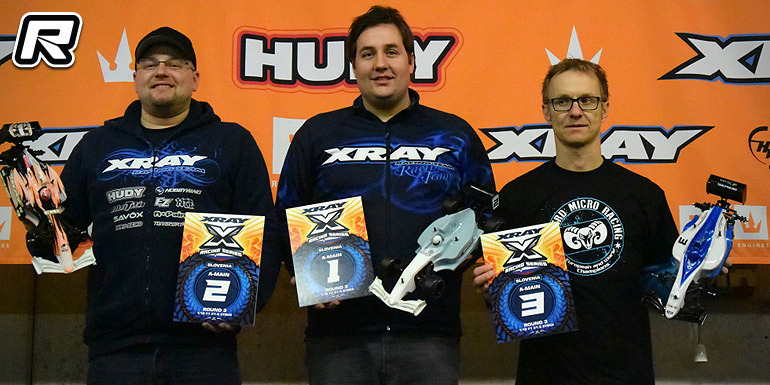 In finals, it was a fierce battle between Jan and Matej and at the end Matej held the upper hand in the final two mains for the overall from Xray teammate Jan. Shepherd’s Herfried Pucher came in 3rd to round out the podium. The fourth and final round will be held on the 24th of February, again at the Genius Ring in Medeuzza.